photo-eye Gallery Local Eight: Works by New Mexico Artists - On View Feb. 7th – April 22nd photo-eye Gallery is pleased to announce Local Eight a group exhibition of photographs featuring eight represented artists from Santa Fe and Northern New Mexico. On view at photo-eye Gallery beginning Tuesday, February 7th, an Opening and Artist Reception will take place on Friday, February 24th from 5 – 7 PM in correspondence with the Railyard Art District’s Last Friday Artwalk. 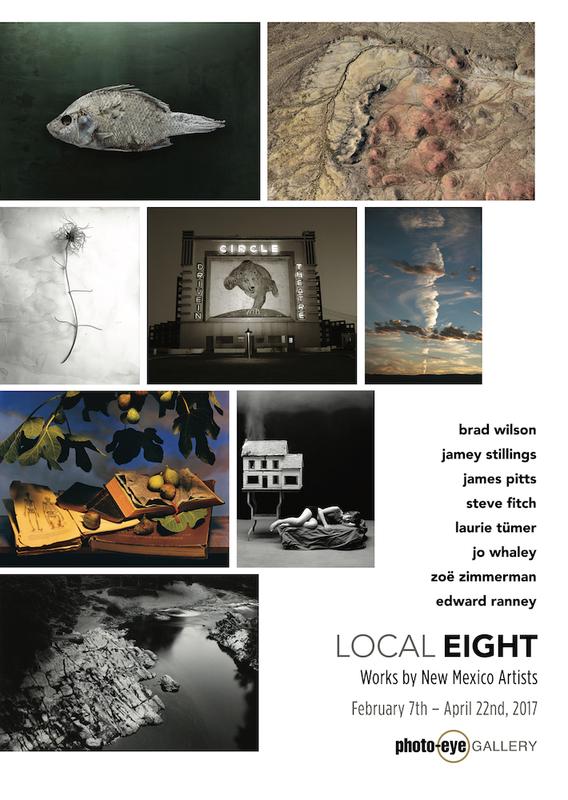 photo-eye Gallery is pleased to announce Local Eight a group exhibition of photographs featuring eight represented artists from Santa Fe and Northern New Mexico. On view at photo-eye Gallery beginning Tuesday, February 7th, an Opening and Artist Reception will take place on Friday, February 24th from 5 – 7 PM in correspondence with the Railyard Art District’s Last Friday Artwalk. Northern New Mexico and Santa Fe is home to a vast, varied and thriving artist community. Local Eight’s collection of works showcases not only the diversity of style within the area’s photographic community but exhibits the wide-ranging conceptual and material practices represented by photo-eye’s artists. Subject matter in the exhibition runs the gamut, covering topics such as climate change, dreams, American highway culture, and landscape all while expressing these ideas utilizing an impressive array of photographic materials, including the albumen print, platinum, traditional silver gelatin, as well as the ubiquitous archival pigment print. 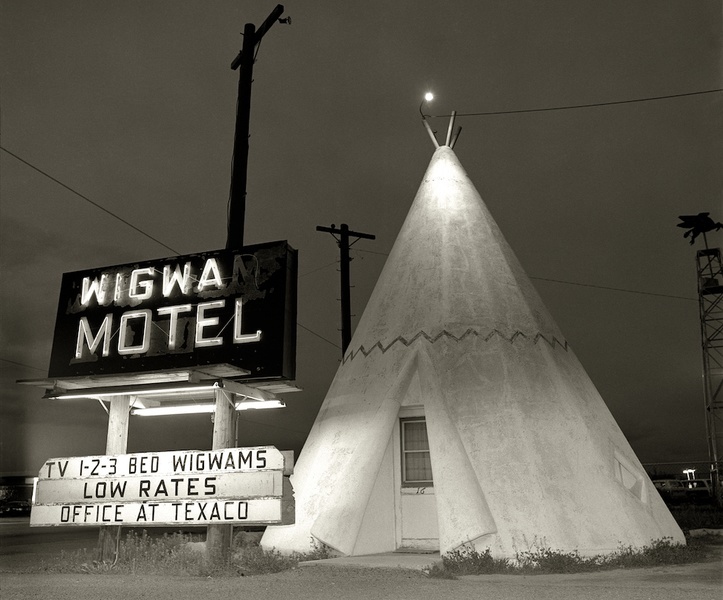 • Steve Fitch — Pena Blanca based photographer focusing on American Highway Vernacular and topologies including the American Motel, the Drive-In theater, and Signal Towers. Most recently Fitch released the monograph American Motel Signs published by The Velvet Cell, London. 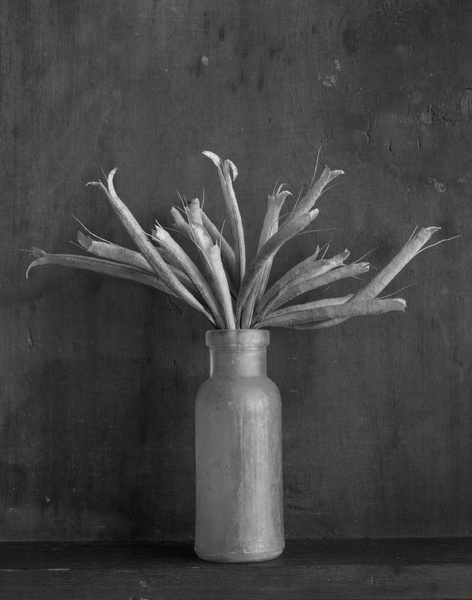 • James Pitts — Santa Fe-based studio photographer creating delicate and expressive floral still-lifes. Pitts primary focus for 20 years was creating hand coated platinum prints from large format negatives. 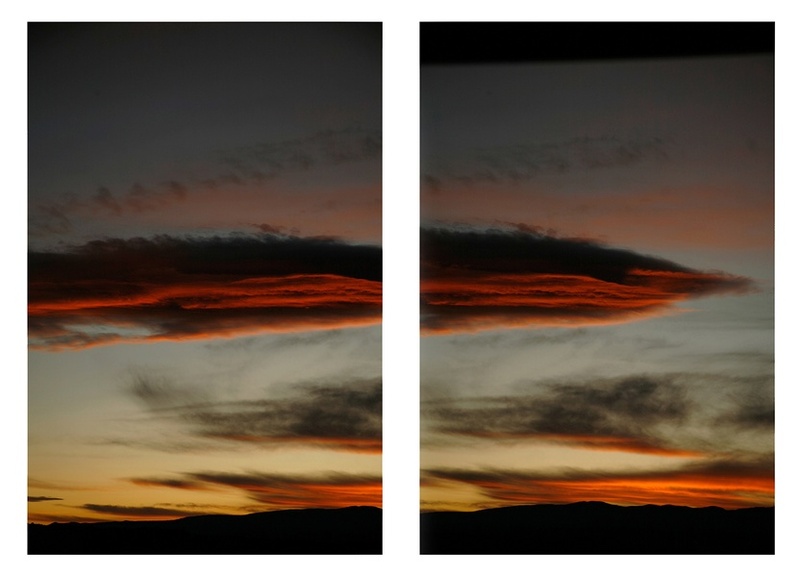 • Edward Ranney — Santa Fe-based internationally recognized photographer working with the natural and man-altered landscape for over forty years. Ranney's latest exhibition with photo-eye, Two Landscapes: England and Peru, opened in the Fall of 2015 and showcased work never before seen in the United States. 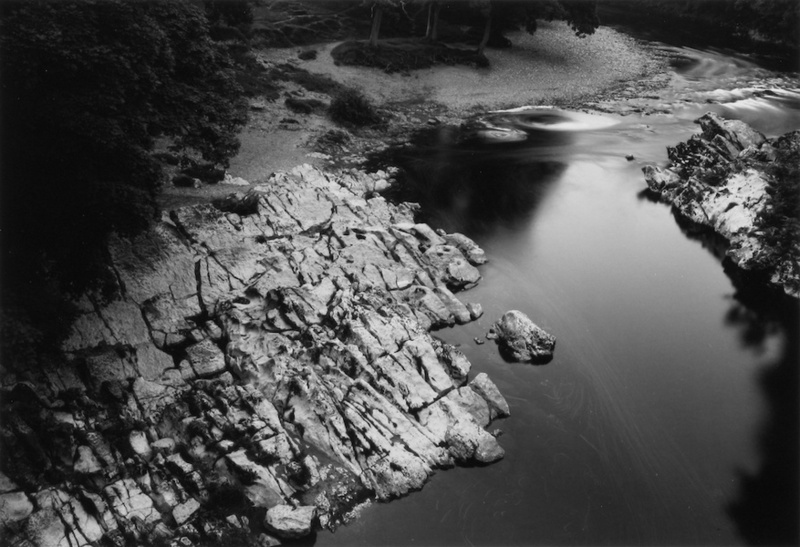 A few of those works, including River Lune, Cumbria, England pictured above, are featured in Local Eight. • Jamey Stillings — Santa Fe-based landscape photographer working with issues of sustainability and a special focus on renewable energy development and water. 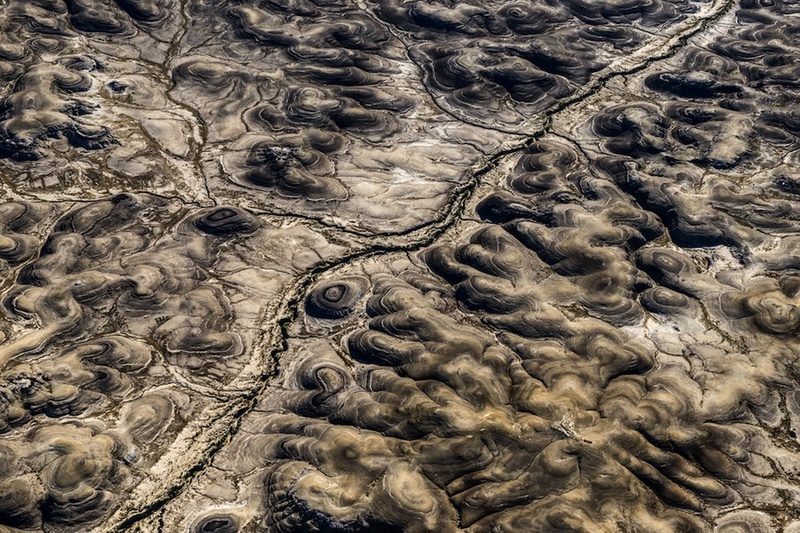 San Juan Basin aerials are included in the exhibition. Stilling's 2015 monograph, The Evolution of Ivanpah Solar published by Steidl, received numerous Book of the Year nominations and Stillings himself received the 2016 International Photography Award for Book Photographer of the Year. • Laurie Tümer – Espanola-based photographer who’s ongoing cloud series is a healing meditation on beauty and sublimity that lessens everyday ills by looking outward. Tümer recently self-published a monograph of the series, aptly titled Clouds, and copies are available to order during the exhibition. 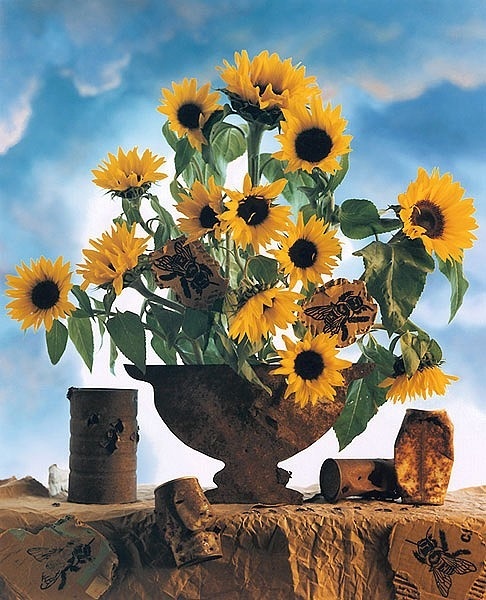 • Jo Whaley – Santa Fe-based photographer Jo Whaley’s series Natura Morta draws from 17th Century Vanitas still-lifes to craft scenes that expose ironies between urban culture and nature. • Brad Wilson – Santa Fe-Based, Brad Wilson is most well known for his series AFFINITY photo-eye Gallery's most recent exhibition. For Local Eight, Wilson showcases work from two earlier projects, The Glass Wall, and Relics. 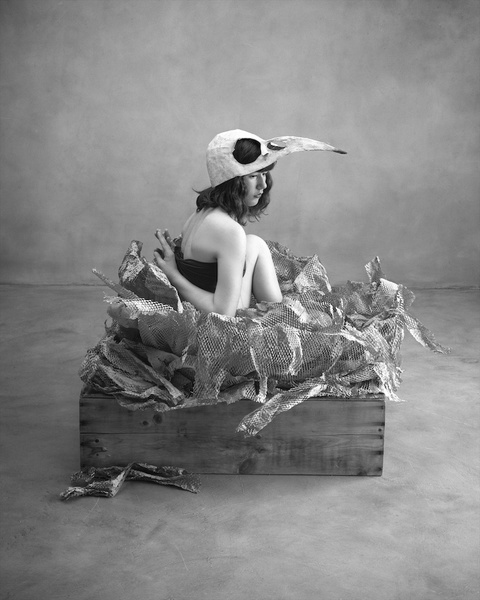 • Zoë Zimmerman — Taos-based studio photographer utilizing metaphor to subvert the Everyday and provoke the viewer’s subconscious. In 2015, Zimmerman released her first monograph, Of Men: Strength and Vulnerability, a three-part series examining fraternal intimacy and physicality among men. Images in Local Eight include new work from Zoë's Her Dream series. Local Eight is currently on view at photo-eye Gallery and runs through April 22nd, 2017. For more information and to purchase prints please contact Gallery Staff at 505.988.5152 x 202 or gallery@photoeye.com.